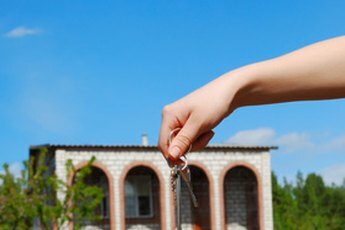 If your FHA mortgage is in foreclosure, you still may be able to reclaim the property. Buying a home using a Federal Housing Administration – or FHA – loan is an attractive option for many buyers. 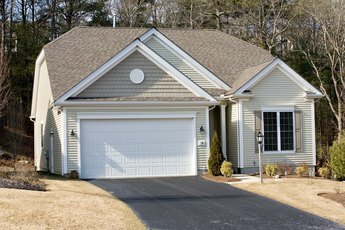 First, the down payment requirement is much lower than for a conventional loan. The requirement could be as low as three percent, compared to the minimum 10 percent for a conventional loan. Also, the requirements to attain a loan are more lenient than with a conventional home. An FHA loan helps low to moderate-income individuals and families attain home-ownership by backing a loan for a lender, thus decreasing the risk to the lender. As part of an FHA-backed loan, the borrower must carry mortgage insurance, a policy that ensures that the lender and the FHA can recoup the money if the borrower defaults on the loan. The default is called a foreclosure and consists of several steps and processes. When you miss your first payment, get in contact with your lender and see what can be worked out. If you miss a second payment, your lender will start contacting you about the mortgage. If you fall three payments in arrears, you'll receive a notice to cure the default, called a demand letter. 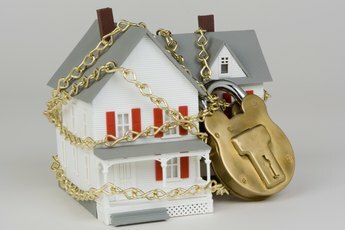 If you cannot pay the past due amount, your lender will refer your mortgage to their attorneys. If this happens, to stop the foreclosure you'd have to pay the past due amount plus attorney fees. If you miss four payments, the lender will start foreclosure proceedings. With an FHA loan, the process from start to finish can take several months, but if you cannot work out a deal to modify the payments, refinance or sell the home, the foreclosure will go through and you'll have to vacate the home. When a conventional loan is foreclosed on, once the lender takes possession of the home, it is auctioned off. However, with an FHA loan, the U.S. Department of Housing and Urban Development takes possession. When the FHA foreclosure is done, the FHA will pay back the lender and HUD will prepare to sell the home. When you took out the FHA-backed mortgage, you were required to purchase mortgage insurance. This insurance is what HUD uses to pay back the lender. When the FHA takes back the home, it is listed on the HUD Homestore. This is a listing of all the foreclosed FHA homes for sale throughout the United States. Anyone can purchase a home from the listing, from first-time home buyers to people looking for investment property. However, HUD does give priority to those who would be first-time buyers and those who would live in the property over investment buyers. If your financial circumstance change between when you fell behind on your payments and the home is sold either at auction or via the HUD Homestore, there's a chance you can reclaim your home. In some states, once the foreclosure has occurred, the original homeowner can demand a listing of charges that need to be paid in order to reclaim the property. The purchaser is required to provide this information. The time frame varies from state to state but can be as little as 10 days. If you can pay the price, then you can reclaim your home. But if you cannot, then you forfeit your right to regain the property.